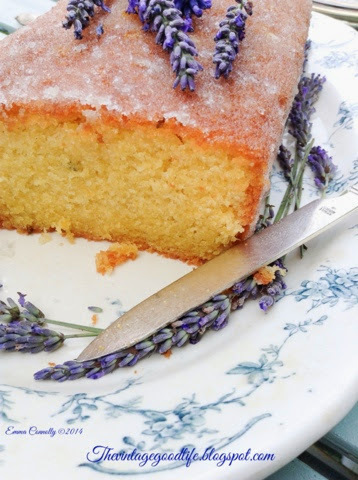 Hello lovelies, thought I'd share with you my simple and propper lush lavender cake. I make this cake every year after our visit to the lavender fields. 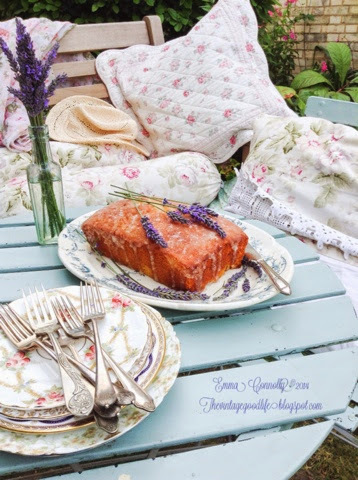 You will need... 5 sprigs of fresh lavender, 1 orange, 3 eggs, castor sugar, self raising flour, stork, 1tsp milk, 1tsp vanilla extract and a pinch of salt. 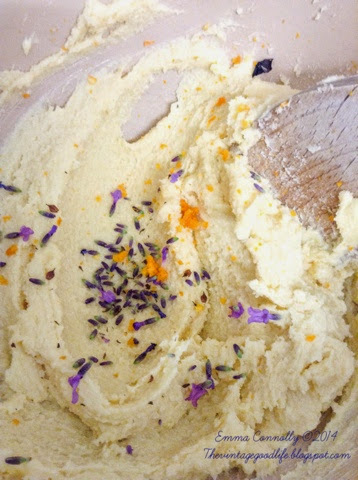 Once everything is measured out, cream together the stork and sugar, add the flowers of your lavender, grate one orange into the mix, add a pinch of salt and your vanilla and mix. Next put a small handfull of flour into the bowl and crack in 1 egg ( the flour will help it not to split) beat together and repeat with the remaining eggs, then sieve in the remaining flour and mix. I like to add a tsp of milk at this point. Line a loaf tin and spoon mix in, pop in the oven at gass mark 4 and check after 40 mins. Depending on your oven this cake can bake for 40 to 55 mins. Press the top lightly, it should spring back. If you want to add a drizzle icing then use the juice of the orange ( I like to add a little lemon too). And stir in a cup of sugar. Spoon this over the hot cake then put some place to cool. Lastly find a nice place to sit, and get the pretty china out.